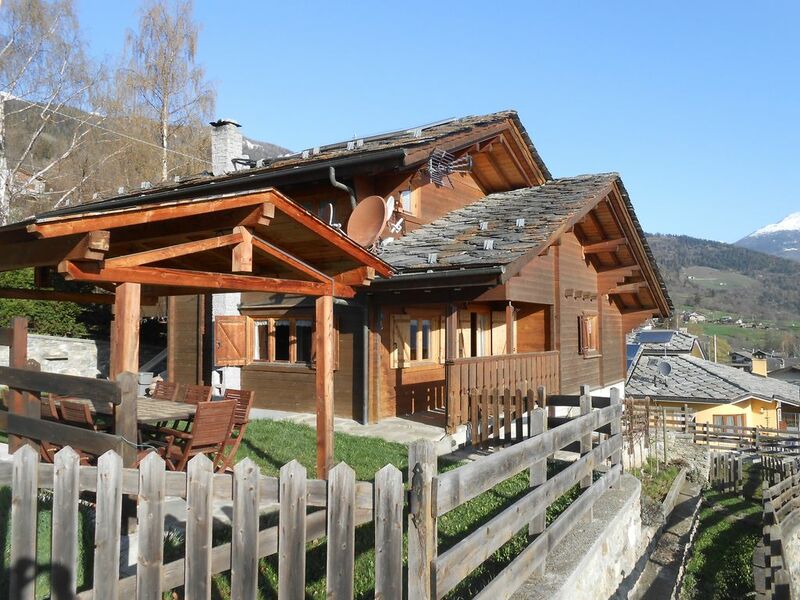 Large chalet with 4 beds up to a maximum of 9 - 12 places, surrounded by nature and overlooking the mountains and valley. Sunny garden with games and bicycles available. You have a portico where you can have lunch or dinner outside. The town is well served and at the same time a stone's throw from Aosta. The chalet is located at 1100 meters above sea level and 7 km from the city center of Aosta. Excellent solution for holidays.